Infocache Corporation provides best-in-class litigation support, having served some of the nation's leading law firms. Over 150 highly trained professionals provide clients with a range of customized solutions. Clients realize the cost savings of offshore operations, rapid turn-around with superior quality and timely service. 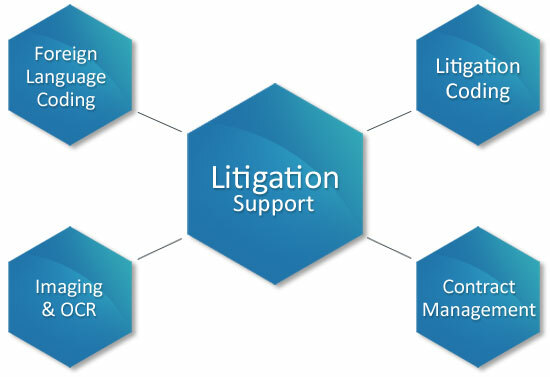 Additionally, beyond traditional bibliographic coding for litigation support, we also handle such specialized offerings as foreign language coding and translation, contract and records management, transcription and consultation. Our superior service, creative solutions - and competitive pricing - have made us the firm of choice for many legal firms. Infocache's premier end-to-end service offerings range from digitization, and bibliographic coding, to production and report generation.